Who's the prettiest of them all? Of course, it's you! Exceptional Antique Boudoir Vanity Set, with a stunning hand painted Silk inserts featuring pink roses and floral garlands tied in blue French ribbon bows around oval French courting scenes, all under glass. 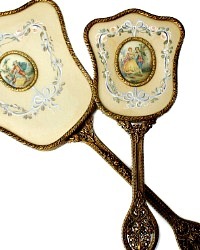 The central courting scenes are surrounded by oval gilt frames. 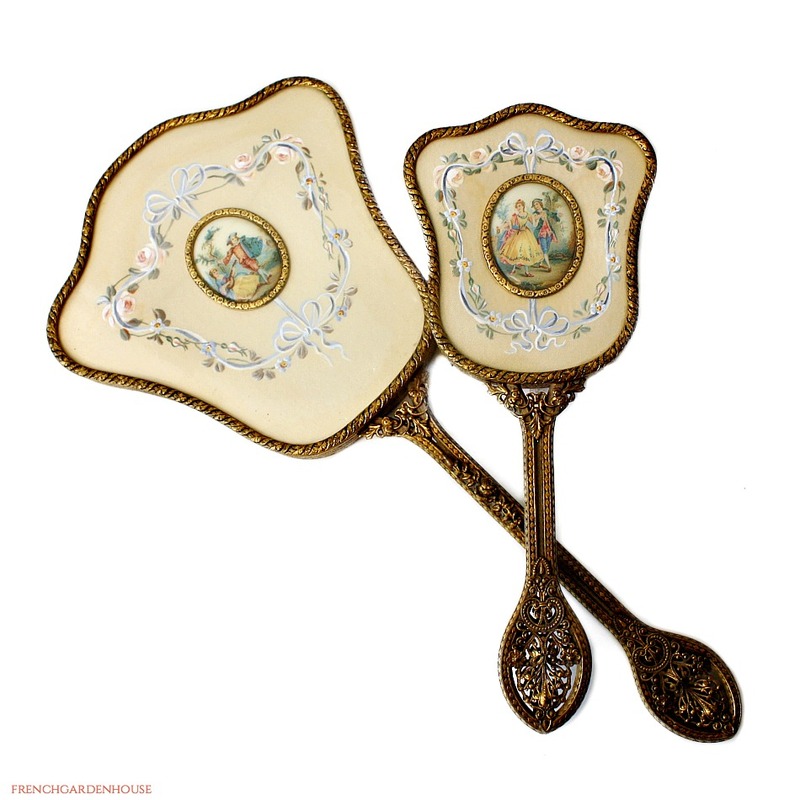 What a beautiful set this is, of high luxury quality, the ornate handles are embellished with flowers, and pierced designs. 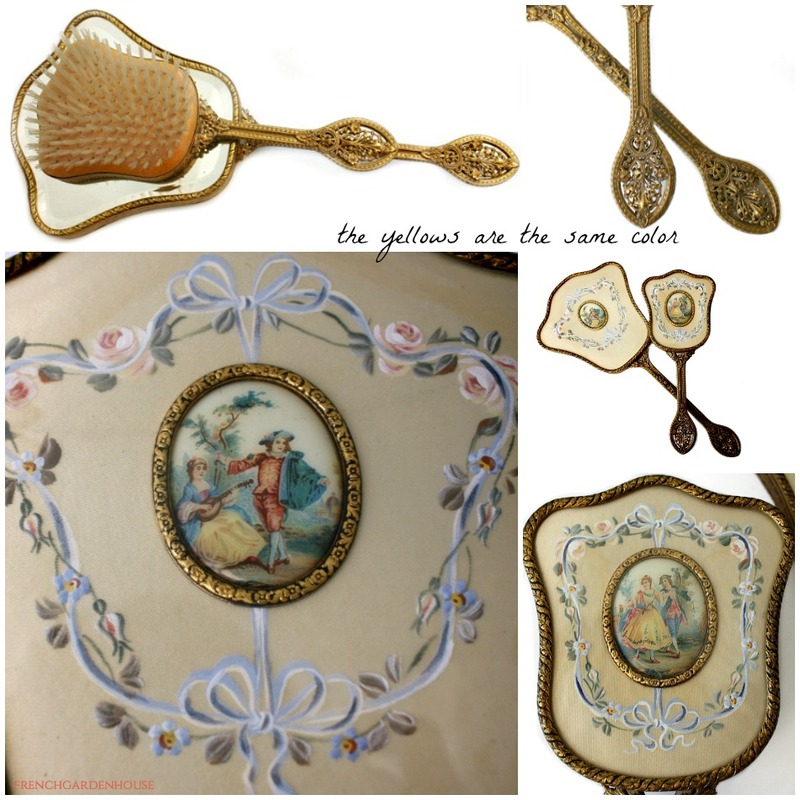 The mirror is beveled, the set is unmarked, most likely it was made by Apollo Studios, or one of the other premier makers of fine lady's accessories in the early 1900's. A small amount of discoloration on the silk, as shown. 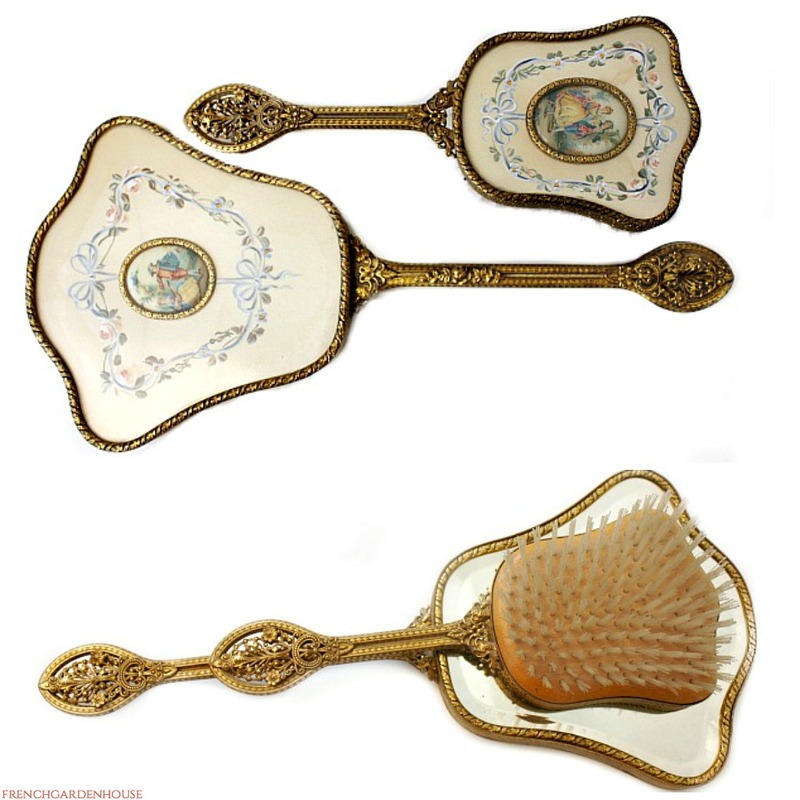 Stunning to display on your vanity or in your guest bathroom, this is a fabulous addition to your collection. Measures: Mirror:13-3/4" x 6-1/2" x 3/4"; Brush: 9-1/2" x 3-7/8".